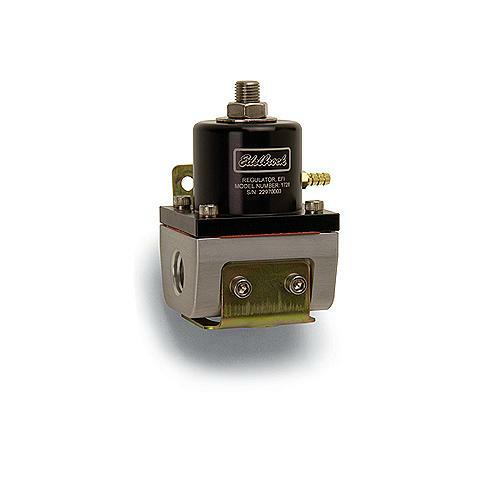 Edelbrock Fuel Pressure Regulator UNIVERSAL - Dezod Motorsports Inc - Home of the automotive performance enthusiast since 2002. Edelbrock Fuel Pressure Regulators provide accurate fuel pressure and delivery for any high performance fuel injected vehicle under all harsh racing conditions. These regulators control fuel flow of up to 180 GPH and have a vacuum port for boost reference. The Fluorosilicone diaphragms are compatible with all grades of racing gasoline and methanol. The built in 1/8” npt gauge port allows you to monitor your fuel pressure.